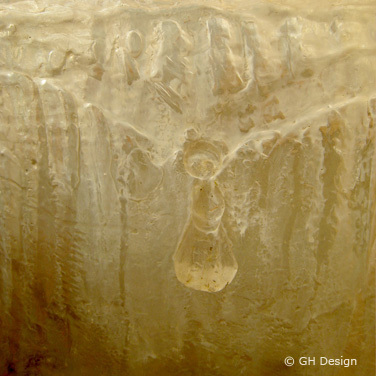 The Resin Stool is made of a high-grade resin that is traditionaly used to fabricate surfboards. The stool is light enough for easy lifting yet sturdy enough for rough treatment outdoors or indoors. 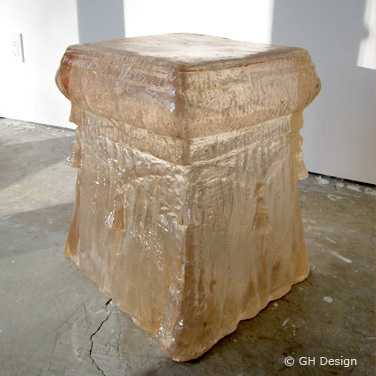 The stool can be produced in all resin colors. 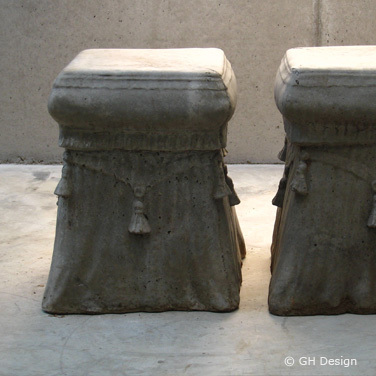 The Tassel Stool is also available in concrete and ceramic. 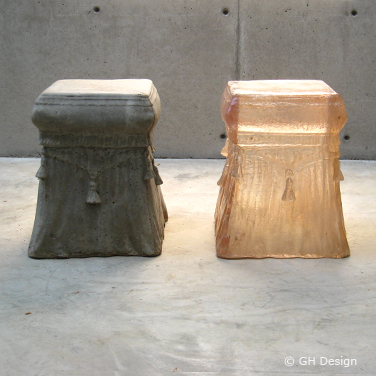 The Tassel Stool was originally designed and manufactured by G.H. 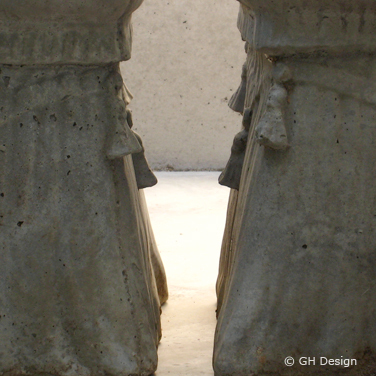 Design for a residence in Menlo Park, California. Dimensions as shown: H. 17.5", Top is 12" x 14"
Bottom is 15" x 16"